Memorial Day 2018: Graveside Honors | Friends of Fort Caswell Rifle Range, Inc.
Memorial Day is next week. Many set aside the day to honor veterans at their graveside. 724 World War I veterans have been identified as born, raised, lived, or served in Brunswick County. We encourage you to include the WWI Brunswick County veterans in your Memorial Day plans or throughout the year. 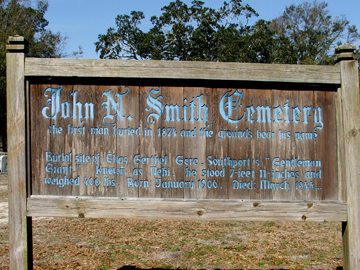 If you take a photograph of yourself alongside a gravesite, the photo will be posted on the website. A new webpage has been created to help assist in graveside honors. The 24 Brunswick County WWI veterans who gave their lives. Many of their final resting places have not been identified. A book is planned to honor the Brunswick County WWI veterans. Cemetery locations should be included for all of the veterans. To identify which veterans have unknown gravesites, use the Brunswick County WWI Veterans page. The blue button on the right side at the top of the website can also be used. If there is no “Date of Death” then no gravesite has been identified. If you find one of these graves, send the findagrave information to ftcaswellriflerange@gmail.com and the list will be updated. Even if the gravesite has already been identified, there may be no photo. If there is a “?” after “Date of Death” then there is no photo of the headstone/flat marker. Please help us create a complete list of cemetery locations for the WWI veterans of Brunswick County.